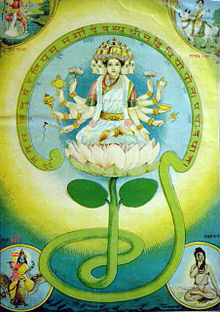 I offer you one of the oldest Vedic prayers which honors the life giving, divine power of the Sun, The Gayatri Mantra. In Hatha Yoga (Sun & Moon), “Ha” embodies the masculine, yang, sun energy and is based in action-oriented thinking while the “Tha” embodies the feminine, more receptive, yin, moon energies. So it is fitting for us to honor our fathers and the powerful masculine sun energy they possess that has the ability to transform, protect and direct our thinking towards the divine plan. This sun power is within us all to empower and guide as we move into the energies of this active, joyful season. May we meditate on the sun, life giver of all things, that shines upon all living beings and in the space between. May this divine luminous power of surya also illuminate our intellects so that we may make the right decisions at the right times for the good of all concerned. Sunday Morning Yoga and Kayaking 8:15am – We have a spot in a double kayak up for grabs if anyone would like to join us and share a kayak!! Sunday Morning Beach Yoga Begins July 5th!! Its the longest day of the year, what will you do with all this light? Previous PostJuly 11th Yoga & Kayaking Trip – Location Change!! !Next PostBeach Yoga with Live Music Wednesday at 7pm! !